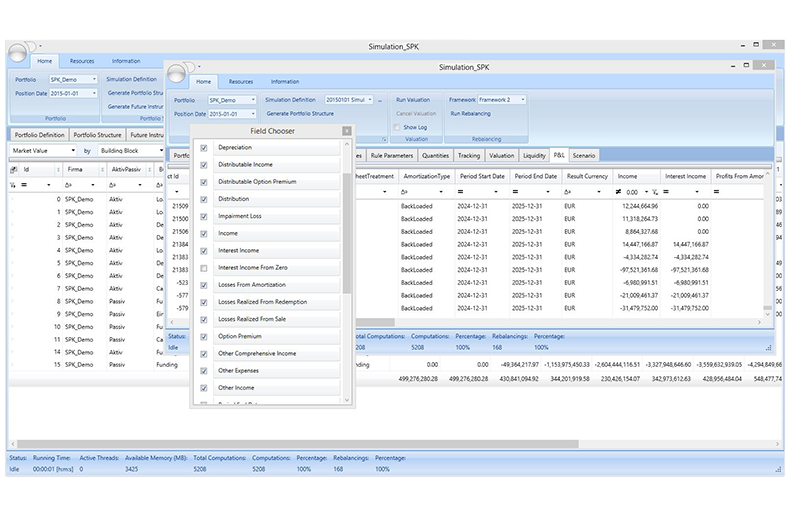 Aquantec Ocean enables the user to analyze and simulate the future development of a portfolio. 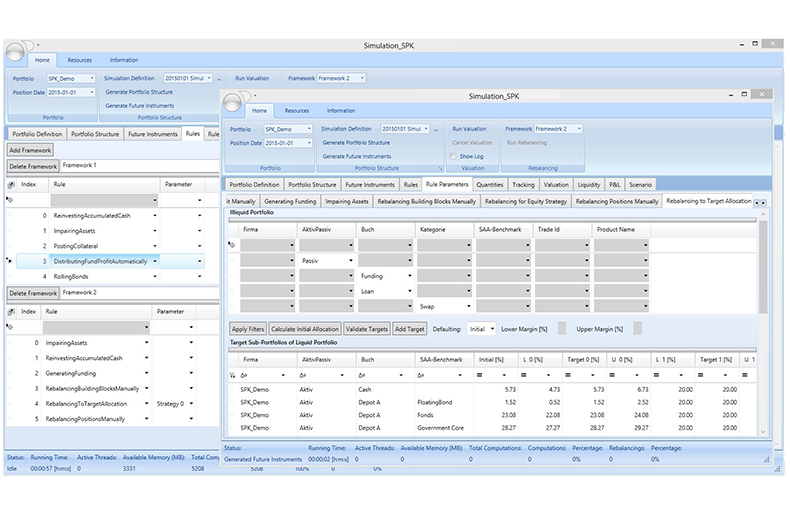 Rule-based purchases and sales may represent the user’s trading strategy. 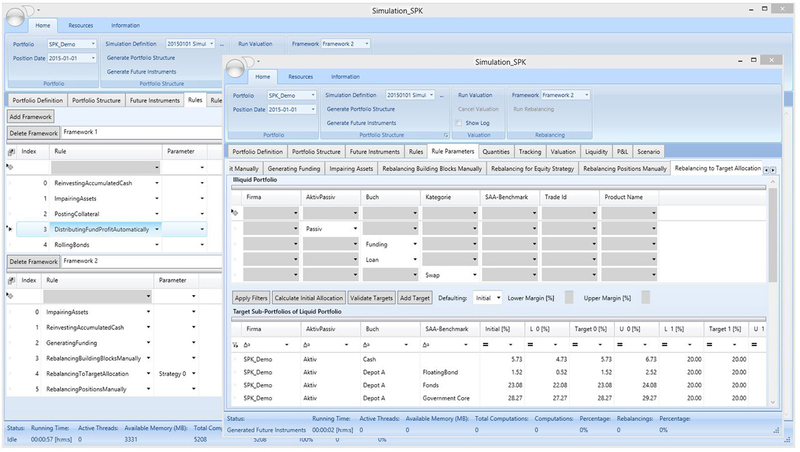 Scenarios and complex stress tests can be designed in a flexible way to investigate impacts of various market conditions on market and book values as well as on profit and loss figures. Thus, the user is empowered to meet the challenging demands of modern regulatory requirements. Portfolios can be evaluated in an integrated way across all asset classes within a multi-year projection into the future. 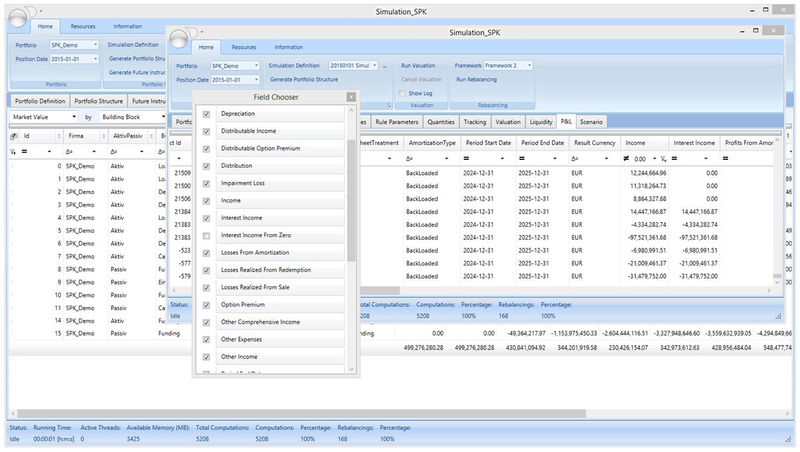 Both trading and accounting figures are calculated along the simulation paths. Different views allow focusing on different levels such as sub-portfolios within a portfolio hierarchy down to single positions. Various portfolio structures, e.g., core-satellite approaches, are supported. Each fund can be represented as a whole by a single position or in detail via its components. User-defined rules reflect investment strategies and steer the evolution of the portfolio. Rules can be combined and easily configured and may cover investments, disinvestments, rolling of bonds, impairment of assets, rebalancing to target allocations, distribution of fund profits, liquidity constraints, funding, and collateral. In the multi-year projection, market-data scenarios can be combined with complex stress tests in order to simulate certain market conditions. Ultimately, such forward-looking assessments of the company’s risks support high-level strategic decisions.